Earlier this past spring, I started reading Game of Thrones. I was instantly enthralled and completely taken by the storyline and characters! After I read the first 3 books (starting the 4th soon! ), I started watching the HBO series and it was amazing to see this world come to life! This cake was for a boyfriend/girlfriend celebrating their birthdays. They’re both Game of Thrones fans. He especially loves House Lannister. 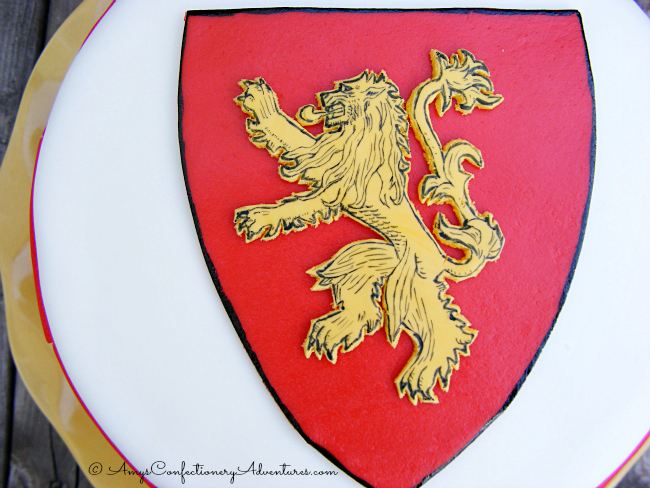 So my amazingly talented husband drew the House Lannister sigil by hand on MM Fondant with an edible food marker. But the cake wasn’t quite done there. The She in the couple likes Games of Thrones enough, but her true love is Harry Potter. 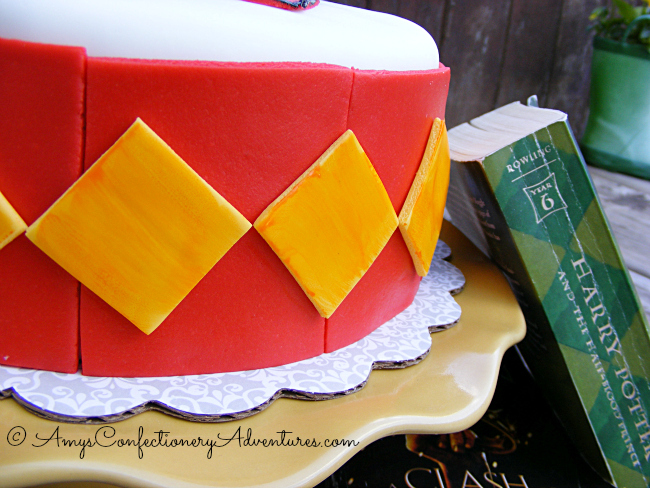 So, the cake also has a small nod to Harry Potter in the border, which is meant to mimic the binding of the Harry Potter books (but in House Lannister Colors)! I was beyond thrilled about this Game of Thrones/Harry Potter mash up! Especially since I am a huge fan of both! 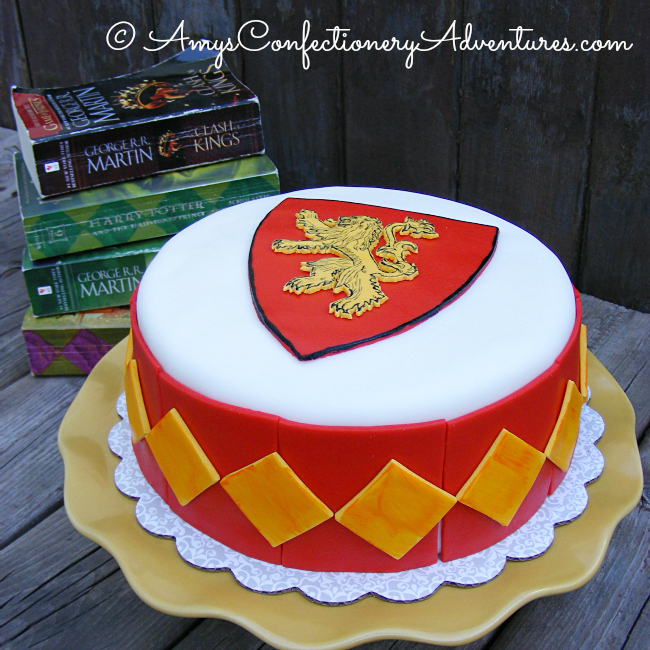 I've never heard of anyone loving the Lannisters (aside from Tyrion) but regardless this cake is so cool! !